National Express chose us as their innovative charity partnership, with a commitment to support our partners. 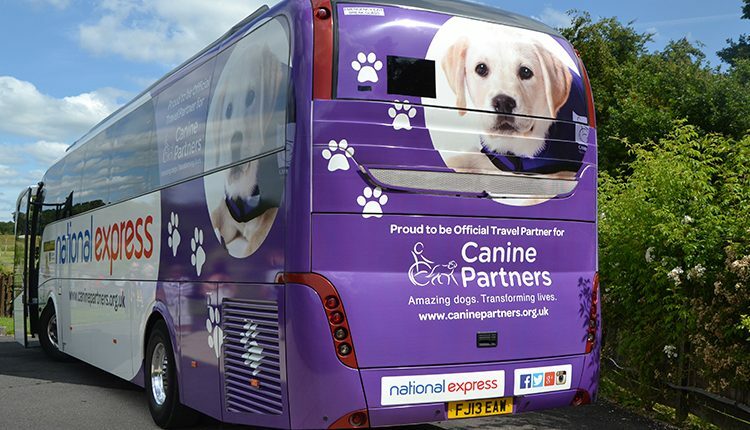 Under the partnership, National Express has liveried one of their coaches with Canine Partners branding and road-users up and down the country can see the amazing purple coach on motorways telling all about our amazing dogs. In addition to this, kind-hearted National Express customers are given the option to donate £1 when they book a ticket online. This has raised over £16,000 pounds so far. Jenny Moir, Head of Communications at Canine Partners, said: “We can’t thank the kind-hearted National Express customers enough for opting to donate £1 when they booked a ticket online. National Express also provides free travel to people training assistance puppies to help with the process of familiarising the dogs with public transport. People giving up their time to look after the puppies are eligible to travel free with their young dog to and from any of approximately 1,000 National Express stops across the UK. 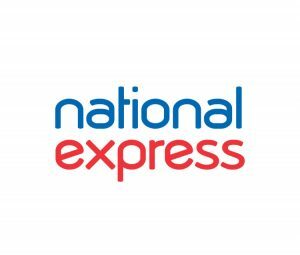 For further information about National Express visit www.nationalexpress.com.